CardioDx postpones its initial public offering, citing ‘unfavorable market conditions.’ California molecular diagnostics company CardioDx spiked its initial public offering, citing “unfavorable market conditions,” according to news reports. The 5.8-million-share offering by Palo Alto-based CardioDx was slated to raise $92 million at a share price of $14-$16 apiece. The IPO, originally scheduled for yesterday, would have seen CardioDx shares trade under the “CDX” symbol. CardioDx had planned to use some of the funds to expand its commercial efforts, including its sales and marketing workforce; to fund operations as the company pursues more insurance coverage and reimbursement; to “conduct additional clinical and marketing activities” for the company’s Corus CAD blood-based gene expression test; to fund R&D activity; and for “general corporate purposes.” CardioDx will later specify just the how much it plans to put toward each of those activities. Investors in the company include V-Sciences Investments, Longitude Venture Partners, Artiman Ventures, Kleiner Perkins Caufield & Byers, JP Morgan and Mohr Davidow Ventures. CardioDX, led by David Levison, was one of three medical technology companies to postpone their IPOs on Thursday due to poor market conditions. CardioDX postponed an IPO on Thursday after deciding that the market is unfavorable at this time. The Palo Alto company led by CEO David Levison was one of three planned medical tech companies that postponed going public on Thursday. San Diego-basedCelladon and Monrovia-based Xencor also decided to hold off due to poor market conditions. Redwood City pharmaceutical developer Relypsa, meanwhile, went ahead with a drastically reduced IPO that raised about half of what it had been projected for it. CardioDX, which sells diagnostic tests for cardiovascular disease, reported total revenue in in 2012 of $2.5 million and a net loss of $25.6 million. The company expects to continue to show losses for the next several years and has an accumulated deficit through June totaling $165.9 million. As of June 30, it had $46.8 million in cash, equivalents and investments. The company’s biggest existing stakeholder is V-Sciences Investments, a wholly owned subsidiary of Temasek Life Sciences Private Ltd., which holds 19.9 percent of outstanding shares. Other big stakeholders are Longitude Venture Partners, with a 17.9 percent stake; Artiman Ventures, 13.9 percent; Kleiner Perkins Caufield & Byers, 9.5 percent; JP Morgan, 6.4 percent; and Mohr Davidow Ventures, 5.8 percent. NEW YORK (GenomeWeb News) – Cardiovascular molecular diagnostics firm CardioDx has filed with the US Securities and Exchange Commission to go public with an intended offering of up to $86.3 million of common stock. The Palo Alto, Calif.-based firm has not priced its offering yet or said how many shares it plans on offering. Bank of America Merrill Lynch and Jefferies are listed as joint book-running managers on the offering, while Piper Jaffray and William Blair are co-managers. In its Form S-1, CardioDx said that its tests provide healthcare professionals with “critical, actionable information to improve patient care and management,” with an initial focus on coronary artery diseases (CAD), arrhythmia, and heart failure. Its flagship product is the Corus CAD, a gene expression-based test for assessing non-diabetic patients who display symptoms suggestive of obstructive CAD. The test was launched in 2009 and through June 30, CardioDx delivered results for more than 40,000 tests, it said. Corus CAD received Medicare Part B coverage in August 2012, making it a covered benefit for about 48 million Medicare beneficiaries, the company added. In 2012, CardioDx posted $2.5 million in revenues with a net loss of $25.6 million. Through the first six months of 2013, the firm had revenues $2.9 million and a net loss of $18.4 million. It had $46.8 million in cash, cash equivalents, and investments as of June 30, it said. In August 2012, CardioDx raised $58 million in private financing. Before that, it raised $60 million in a financing round. In 2010, GE Healthcare invested $5 million in the company as part of a Series D financing round. David Levison heads the firm as President and CEO. Other members of the management team include CFO Andrew Guggenhime; Chief Scientific Officer Steven Rosenberg; Chief Medical Officer Mark Monane; and Chief Commercial Officer Deborah Kilpatrick. CardioDx is the latest in a recent string of omics-related companies who have gone public or have filed to go public in the US. Cancer Genetics, NanoString Technologies, and Foundation Medicine launched their IPOs earlier this year. Meanwhile, Veracyte, Biocept, and Evogene have filed to float. Personalized Gene Expression) study in Circulation: Cardiovascular Genetics, a journal of the American Heart Association. Results of the prospective, multi-center U.S. study showed that Corus® CAD, a blood-based gene expression test, demonstrated high accuracy with both a high negative predictive value (96 percent) and high sensitivity (89 percent) for assessing obstructive coronary artery disease (CAD) in a population of patients referred for stress testing with myocardial perfusion imaging (MPI). The study’s authors conclude that using Corus CAD earlier in the diagnostic algorithm could reduce the number of invasive cardiac tests by more accurately evaluating the presence of obstructive coronary artery disease compared to the traditional algorithm of stress myocardial perfusion imaging (MPI) in these patients. COMPASS enrolled stable patients with symptoms suggestive of CAD who had been referred for MPI at 19 U.S. sites. A blood sample was obtained in all 431 patients prior to MPI and Corus CAD gene expression testing was performed with study investigators blinded to Corus CAD test results. Following MPI, patients underwent either invasive coronary angiography or coronary CT angiography, gold-standard anatomical tests for the diagnosis of coronary artery disease. The study was designed to provide additional independent validation of the Corus CAD test in a real-world intended use patient population of patients presenting for MPI, a common noninvasive test for CAD, and builds on the results of the previous PREDICT validation study. Corus CAD requires only a simple blood draw for testing, making it safe, convenient, and easy to administer. The study evaluated results in stable non-diabetic patients with typical or atypical symptoms suggestive of CAD and found that Corus CAD surpassed the accuracy of MPI, a test that was administered more 10 million times in the U.S. in 2010. The pre-specified primary endpoint of the COMPASS study was the receiver-operator characteristics (ROC) analysis to evaluate the ability of Corus CAD to identify coronary arterial blockages of 50 percent or greater by quantitative coronary angiography. Corus CAD outperformed MPI in overall diagnostic accuracy for assessing obstructive CAD, with an area under the curve (AUC) of 0.79 for the Corus CAD test compared to MPI site and core-lab read AUCs of 0.59 and 0.63 respectively (p<0.001). In addition, Corus CAD performed better than MPI in sensitivity (89 percent vs. 27 percent, p<0.001) and negative predictive value (96 percent vs. 88 percent, p<0.001) parameters, thus demonstrating excellent performance for excluding obstructive CAD as the cause of a patient’s symptoms. The COMPASS results corroborated earlier findings from the PREDICT multicenter U.S. validation study demonstrating that the Corus CAD score is proportional to coronary artery stenosis severity. CardioDx is promoting yet another post-marketing study whose data may help the company’s gene expression test for obstructive coronary artery disease reach more patients, better compete with the standard of care and also build vital market share. Executives at the California-based 2012 Fierce 15 company say they wanted more data on Corus CAD‘s real-world use, building on its previous PREDICT validation trial as a result. The test has been on sale commercially since 2009 and won crucial Medicare reimbursement last fall. Chief Scientific Officer Steven Rosenberg told FierceMedicalDevices via email that the results from the latest study pointed in a number of positive directions. A 431-patient clinical study of the blood diagnostic rated the test with a 96% negative predictive value and 89% high sensitivity, in assessing the condition in patients who were referred for stress testing with myocardial perfusion imaging (MPI). (Last November, CardioDx heralded similar results from another study using Corus CAD on 98 geriatric patients.) Details are published in the journal Circulation: Cardiovascular Genetics. The blood test, conducted at 19 U.S. sites through multiple academic institutions, determined that using Corus CAD earlier in the diagnostic process better assessed the presence of coronary artery disease versus MPI. This might encourage doctors to cut back on invasive, more expensive cardiac tests by ruling out obstructive CAD sooner. In other words, determining a patient doesn’t have obstructive CAD eliminates the need for diagnostic procedures such as coronary angiography or coronary CT angiography, the company explains. Post-marketing studies are increasingly important in today’s health care market, with the need to demonstrate the utility of a device or diagnostic in as most detailed a way possible. And it’s not just boosting the standard of care; the Affordable Care Act means value matters, too, more than ever before. Success with this mission can help broaden market share and also increase the chance of private as well as government insurance coverage. Additionally, new post-marketing trials can also set the stage for expanded indications down the line. Background—Obstructive coronary artery disease (CAD) diagnosis in symptomatic patients often involves non-invasive testing before invasive coronary angiography (ICA). A blood-based gene expression score (GES) was previously validated in non-diabetic patients referred for ICA but not in symptomatic patients referred for myocardial perfusion imaging (MPI). Methods and Results—This prospective multi-center study obtained peripheral blood samples for GES before MPI in 537 consecutive patients. Patients with abnormal MPI usually underwent ICA; all others had research coronary CT-angiography (CTA), with core laboratories defining coronary anatomy. A total of 431 patients completed GES, coronary imaging (ICA or CTA), and MPI. Mean age was 56±10 (48% women). The pre-specified primary endpoint was GES receiver-operator characteristics (ROC) analysis to discriminate ≥50% stenosis (15% prevalence by core laboratory analysis). ROC curve area (AUC) for GES was 0.79 (95% CI 0.73-0.84, p<.001), with sensitivity, specificity, and negative predictive value (NPV) of 89%, 52%, and 96%, respectively, at a pre-specified threshold of ≤15 with 46% of patients below this score. The GES outperformed clinical factors by ROC and reclassification analysis and also showed significant correlation with maximum percent stenosis. Six-month follow-up on 97% of patients showed that 27/28 patients with adverse cardiovascular events or revascularization had GES >15. Site and core-lab MPI had AUCs of 0.59 and 0.63, respectively, significantly less than GES. Conclusions—A GES has high sensitivity and NPV for obstructive CAD. In this population clinically referred for MPI, the GES outperformed clinical factors and MPI. Clinical Trial Registration Information—www.clinicaltrials.gov; Identifier: NCT01117506. CardioDx’s test for obstructive heart disease will be covered by Medicare retroactive to Jan. 1. A key national Medicare contractor will cover the cost of a coronary artery disease test developed by CardioDx Inc. 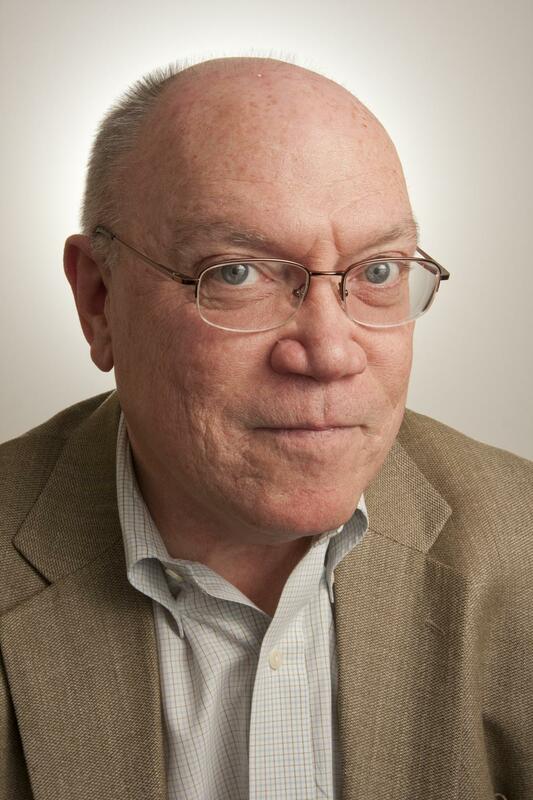 The move is important for Palo Alto-based CardioDx because private insurers tend to follow the federal government’s Medicare health insurance program. The company has had to seek reimbursement on a case-by-case basis with those private insurers since its Corus CAD gene expression test hit the market in June 2009. The decision disclosed Tuesday by Palmetto GBA, a national contractor that administers Medicare benefits in Columbia, S.C., means that Medicare will cover the test for as many as 40 million enrollees. Coverage is retroactive to Jan. 1. 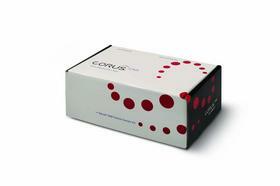 Corus CAD is a shoebox-size kit that uses a simple blood draw to measure the RNA levels of 23 genes. Using an algorithm, it then creates a score that determines the likelihood that a patient has obstructive coronary artery disease. The decision represents the latest Medicare-coverage win for Bay Area diagnostic test makers. Palmetto earlier this year opted to cover the Afirma gene expression test from South San Francisco’s Veracyte Inc. to diagnosis thyroid nodules, and last summer Palmetto said it would cover Redwood City-based Genomic Health Inc.’s (NASDAQ: GHDX)colon cancer recurrence test. This is a remarkable victory for the development of genomics testing, and the justification for reimbursement is just the right way to go about it. You see it required a combinatorial analysis on 23 predictive RNAs. If each test is scaled 0 or 1 (which may not be the case because of the weight of information), just to keep it simple – there would be a minimum of 529 combinatorial classes by a Bernoulli test if there was no information in the data. Of course the research looked at RNAs that were unimportant for the classification and were rejected. I don’t know how many patients that they had to look at just to extract the information, but it would have to follow the principles that Jay Magidson is writing about with respect to sample size, probably a bootstrap or randomization, validation and cross validation. In reality you end up with a truth table that has combinatorial classes with a small frequency and others with very large frequencies. What is remarkable is that this may be a really good identification of genomics tied to a metabolic disease (with eNOS, the ratio of w-3/w-6 PUFAs, HDL cholesterol, some tie in with abdominal or truncal adiposity and adipokines, none of which is expressed in the diagnostic prediction. I would imagine that they calculate a probability estimation. It could be that the cost of imaging methods will take time before the physicians have complete confidence. The other factor that Anderson has made is that for this to get really big, it will have to get to a production level of the hemogram, but his statement didn’t refer to genomics, but to proteomics. Thank you for the outstanding comment on my Post above. I am to look for now for a Category Owner for Genomic Testing Methodologies. You are welcome, in the near future, to consider Authoring a post on identification of genomics ties to metabolic diseases “(with eNOS, the ratio of w-3/w-6 PUFAs, HDL cholesterol, some tie in with abdominal or truncal adiposity and adipokines)” none of which is expressed in the diagnostic prediction at present time. Thus, omission due to the scientific Unkown !! I have something to post that is closely related. I just have to continue the completion of my links. There is a really interesting work that leads in that direction. Links conversion to LIVE links is a MUST before a Publish, for future reference. Connecting EACH post with all Your Groups of RELEVANCE to the post is a MUST after Publishing, for future reference. I am happy you are to Connect each post to our FAceBook Page and to Tweet about it via LinkedIn Screen or as a stand alone tweet. The Business aspect of the Blog is in the HITS ! !